The Girl from Tomorrow is a science fiction fantasy telemovie that follows the time-travel adventures of Alana, a spirited 13-year-old girl from the year 3000. The feature length film and online teaching resources can be used to explore the genres of science fiction, fantasy and drama along with a variety of concepts in the key learning areas of English, Arts and Studies of Society and Environment. The movie follows the adventures of Alana, who is kidnapped by the evil Silverthorn, a fugitive 26th century warlord. After becoming trapped in his time capsule, she is transported back through time and crash lands in a rubbish dump. She emerges to find herself stranded in the strange and primitive world of the 20th century. Leaving Silverthorn unconscious, Alana escapes but soon discovers that she knows little about life in 1990. 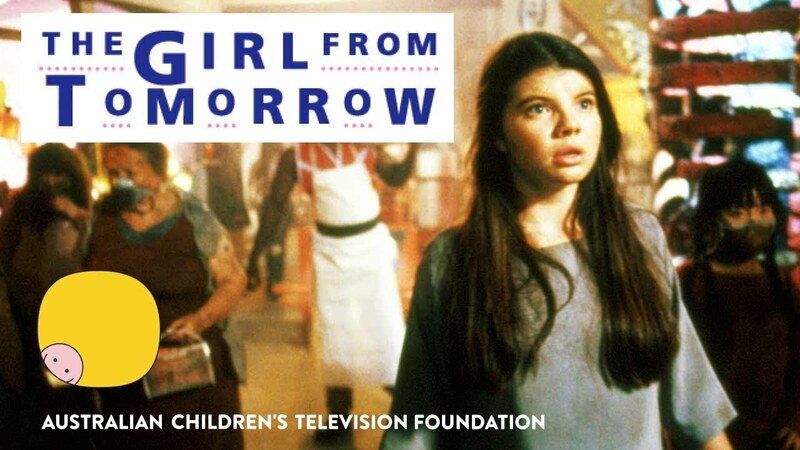 This is the feature-length movie version of series one, The Girl from Tomorrow. Filmed in Australia and Poland, young Australian audiences will find much that is familiar in the locations, settings and lifestyles shown. Yet, they will also be surprised by the many changes evident in the short time since this production was made, bringing another interesting dimension to their investigations of the time slip tradition explored in The Girl from Tomorrow. Alana, a 13 year old girl from the year 3000, is thrown back to our "strange and primitive" modern day world when a time travel experiment goes wrong. Silverthorn, a fugitive warlord thrown back in time with Alana, steals the time capsule which is Alana's only hope of returning home. Alana, with the help of only her personal wrist computer P.J. and her new friends Jenny and Petey, must battle Silverthorn for control of the capsule, or be stranded forever - a thousand years from home.